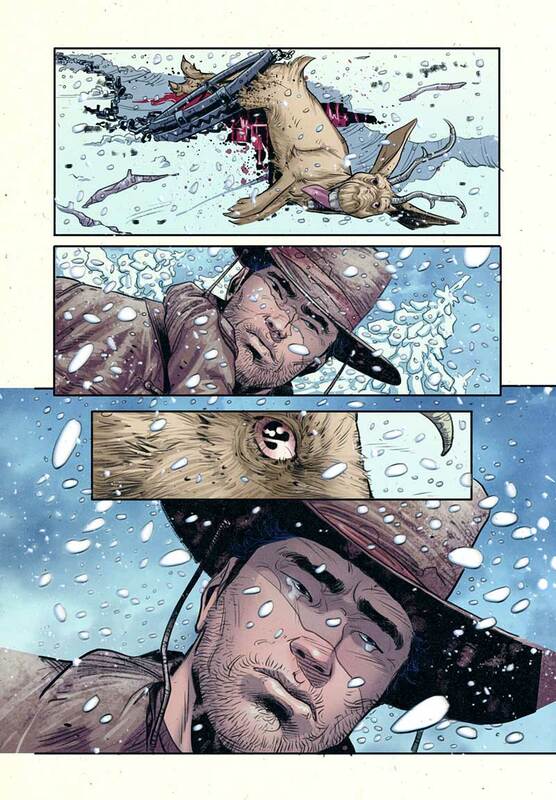 Westerns in comics are hard to find nowadays, it's become a lost art it seems. 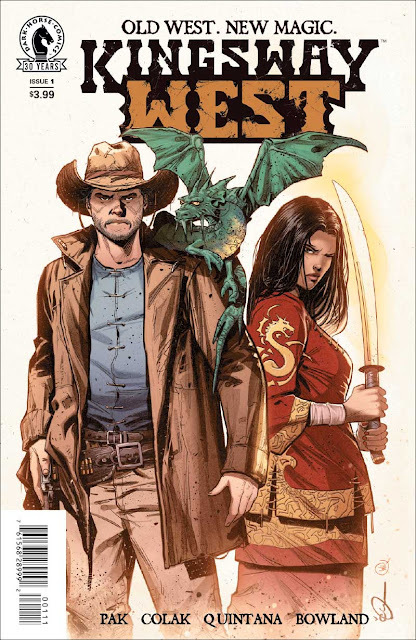 Thankfully, Greg Pak (Totally Awesome Hulk, Big Trouble in Little China/Escape from New York) and artist Mirko Colak (Red Skull: Incarnate, Conan: The Nightmare of the Shallows) are putting their own spin on the genre by mashing traditional Old West adventures with a fantasy element. 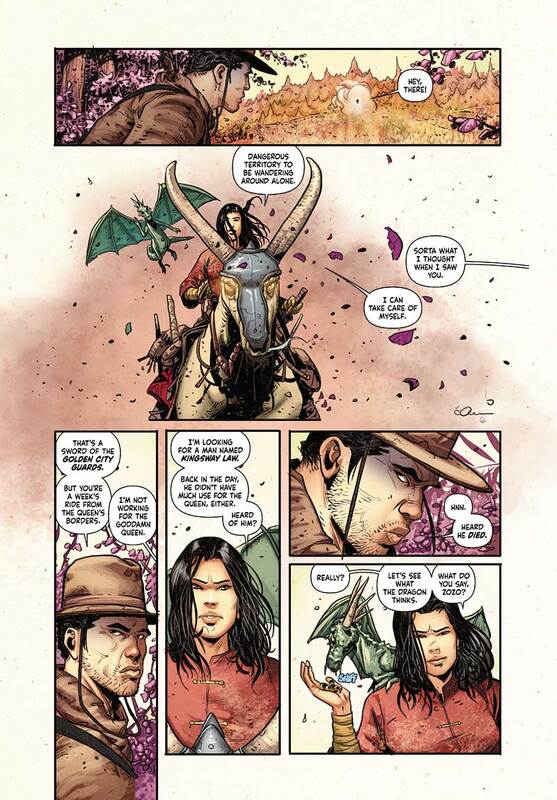 This August from Dark Horse Comics, Kingsway West, takes readers on a wild ride for a four-issue limited series that combines gunslinging and magic. 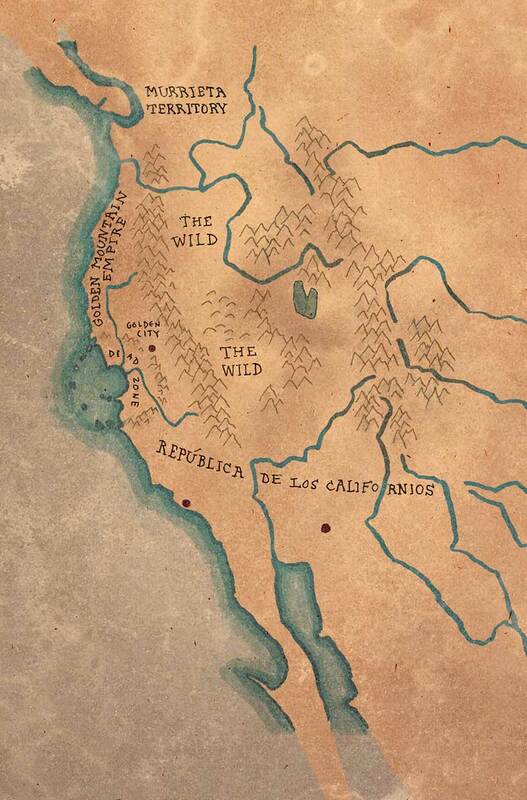 The diverse characters add a refreshing twist to a genre that has traditionally made people of color either the villains or helpless background figures. Check out this mini-preview and be sure to pre-order. Readers can pre-order the book at KingswayWest.com or with their local retailers. The cut-off date for preordering is August 1. 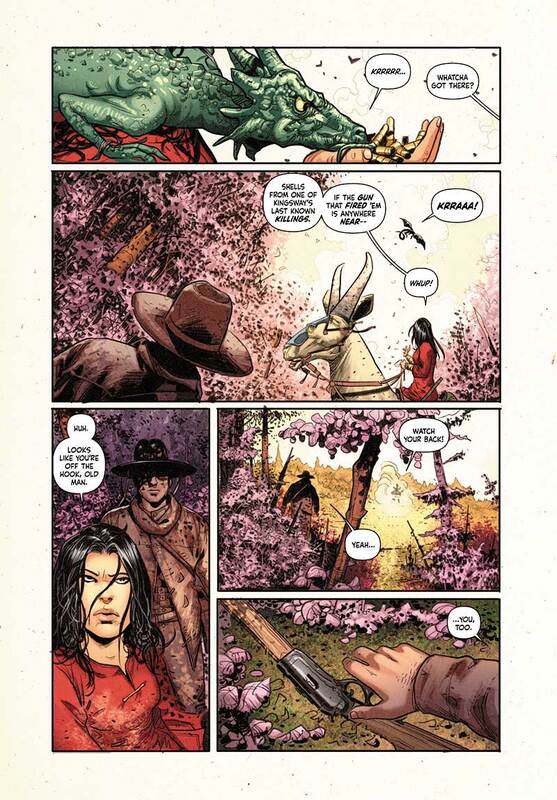 * Greg Pak and Mirko Colak team up for a magical western! * Once upon a Time in the West meets Princess Mononoke.